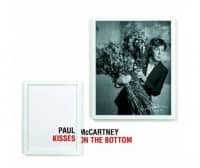 Written in 1926 by Ray Henderson and Mort Dixon, Bye Bye Blackbird was recorded for Sir Paul McCartney's 2012 collection of American classics, Kisses On The Bottom. It was first recorded by Gene Austin in 1926. Other notable versions were performed by Peggy Lee, Joe Cocker, Bing Crosby, Miles Davis, Etta James, Dean Martin, Nina Simone, Frank Sinatra and Liza Minelli. Ringo Starr recorded the song for his 1970 covers collection Sentimental Journey, and in 1962 John Coltrane recorded a jazz version lasting nearly 18 minutes for his album Bye Bye Blackbird. Diana Krall, who plays piano on McCartney's recording, sang Bye Bye Blackbird in the 2009 Michael Mann film Public Enemies. I never learnt to play [these songs]. All I ever did was sing them, at the family sing-songs. They're quite complicated, the chords and things. I'd have a bash, and I did eventually become the sort of family piano player, at New Year, as my dad got a bit older and I got a bit more capable. But I was always busking it; he knew the real chords, and I had to busk my way around. But it was good enough for the family sing-song. A lot of these songs, like Bye Bye Blackbird, were ones that I'd sung along with. The basic track for Bye Bye Blackbird was recorded at Avatar Studios in New York, with the orchestra overdubbed at Abbey Road Studios in London. The rhythm arrangement was by Diana Krall.